For now I'm not calling this a guide as I'm still learning and experimenting myself, it's more of a note taking place for myself. However others of course may look at my notes and comment in if they wish. Physique may not work ? Just have an animation I guess? There is no longer a need to link your morph targets to your base mesh. This is an obsolete step. Also I have currently not once reset the Xform either. I believe this to be an obsolete step as well. To any Mesh Head makers. You will absolutely want to use FBX to create your heads. Currently, exporting the actual .XPF separate using IMVU exporters actually will work with your FBX mesh. Note: It does not matter what frame you export on! 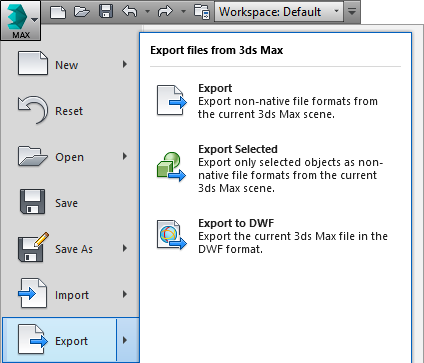 I prefer Export Selected because the Export option will normally throw errors due to the default avatar's skeleton and it typically takes a bit longer to export. However, the errors it throws in a lot of cases are irrelevant. To use this, you must select EVERYTHING you wish to export. If it's not selected, it's not getting exported. Very quick to export. Any errors thrown should be read. I exported a 100 Morph Target Mesh in a little over a second. This will simply export everything, making the FBX rather large, time consuming to export, and IMVU itself takes awhile to read the file. Will most likely throw a lot of errors, as the Default File contains many things the FBX export doesn't like. Perhaps something to do with normal mapping. In which case you wouldn't use. PLEASE DON'T USE. Most peoples meshes probably already far exceed a normal polygon limit. 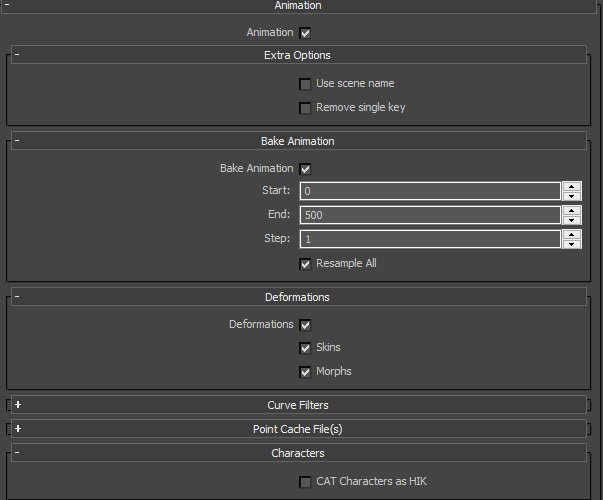 To export Animations, Morphs, Meshes, you must check this. It's hard to explain what this does as I don't know fully myself, but usually it would seem you want this checked. Here's an example of it at work, but I know it does much more than just this. "Selecting everything I want to export every time is very time consuming!" Use your selection sets to create a selection of everything you wish to export. Just type in the box and press enter, with everything selected that you wish to be in the set, and it will create one. 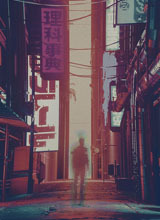 I'll make a video soon on the process of this. Last edited by Nums on Mon Dec 04, 2017 8:54 pm, edited 2 times in total. Thank you so much for making this tutorial really appreciate. I have a small question though and hope this is me doing some silly mistake, when I export earrings for example (and it doesnt matter if I select the femalemaster/selection only or head), they always appear beside the avatar floating even though the asigned attachment node is the Head. Any ideas what could be wrong, did I miss a step or is it the exporter? There's a lot of reasons really and being new to it myself, I can't really name the reasons why yet. I'm going to try and make a video soon of exporting simple accessories, animated, and clothing. Hopefully it will help. Thanks so much I will try using max 2018 instead of 17 to see if that makes any difference. Also I apologize for the mic volume. Last edited by Nums on Thu Feb 01, 2018 10:55 pm, edited 1 time in total. Specially that you hat to select the animation even though there werent any.